With the spotlight focussed firmly on Nvidia's high-and-mighty GeForce GTX 1080 Ti, it was easy to overlook the fact that multiple other GeForce GPUs have been introduced in recent months. 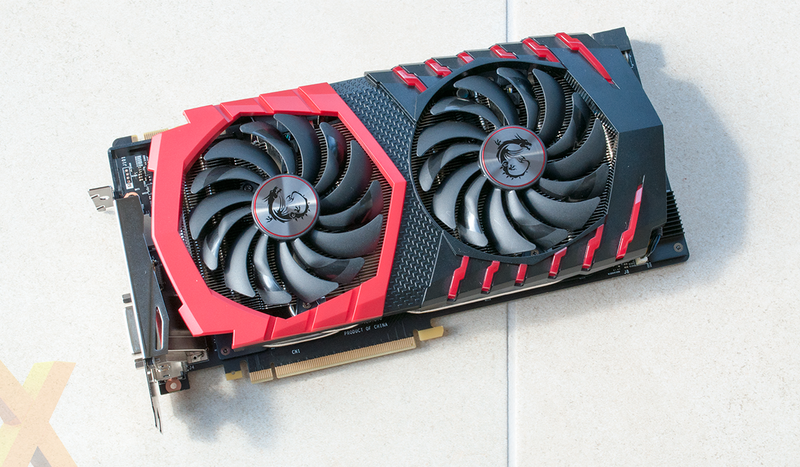 Augmenting Nvidia's assault on all things Radeon, the GTX 1080 Ti was joined by 'OC' variants of the GTX 1080 and GTX 1060. 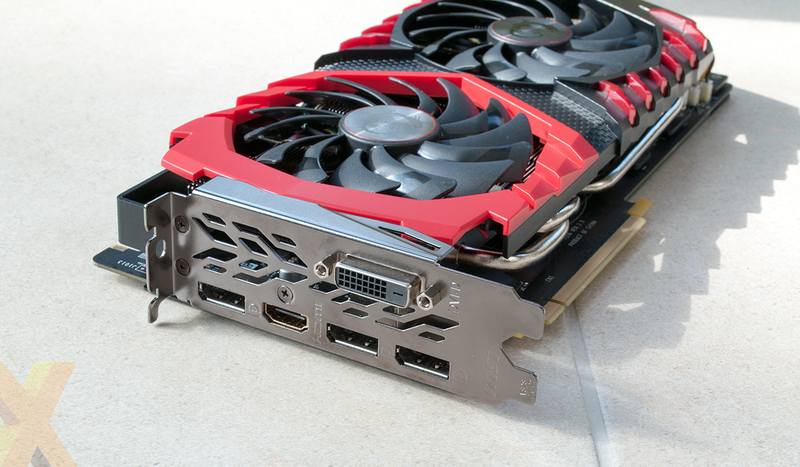 Both are armed with faster GDDR5X memory from Micron, and though said GPUs risk slipping below the radar now that a new Titan is out in the wild, GTX 1080 OC partner cards are belatedly beginning to filter into the channel. 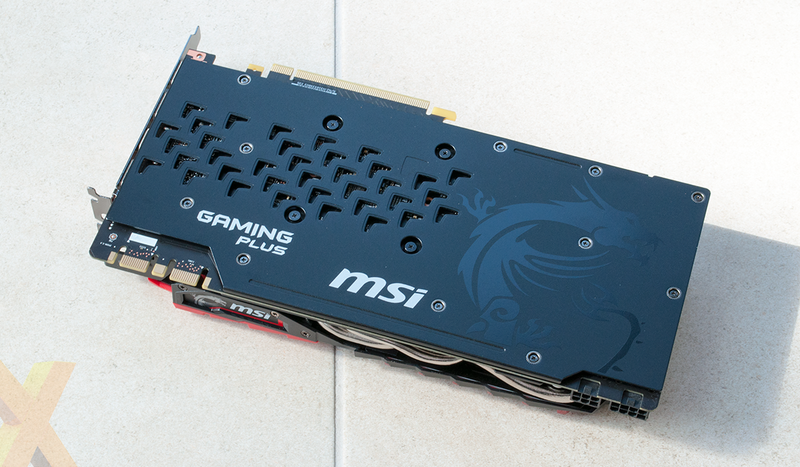 MSI is one of the first out of the gate with its GeForce GTX 1080 Gaming X Plus. The Plus, as you might have gathered, is a nod toward the faster memory, and that really is the only meaningful change. 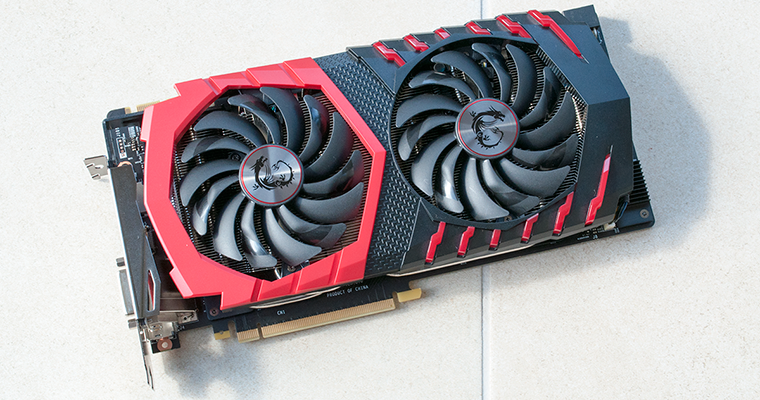 This is, for all intents and purposes, last year's Gaming X imbued with 8GB of GDDR5X 11Gbps memory, and that's no bad thing as the original card was rather good. Build quality is solid throughout, and we're of the opinion that MSI's Twin Frozr VI livery is one of the better options available on the market today. The contrast between red and black works nicely - it just so happens to be the colours of my football team - and while it's a sizeable unit measuring 277mm x 140mm x 42mm and weighing 1,107g, it keeps to a dual-slot form factor. Both fans switch off at idle and keep relatively quiet under load (more on that later), and beneath the blowers is an all-encompassing aluminium heatsink interspersed with five heatpipes squared-off to maximise heat transfer from the copper base plate. We don't imagine the cooler will have any problem taming the GTX 1080 GPU, and it's good to see MSI continuing to provide a cooling plate on one side of the PCB and a metal backplate on the other. Keeping to the GTX 1080 playbook, a couple of SLI tabs are available for multi-GPU configurations, power is sourced via an eight-plus-six-pin configuration, and as you'd expect on a modern design, there are plenty of RGB lights to play with. 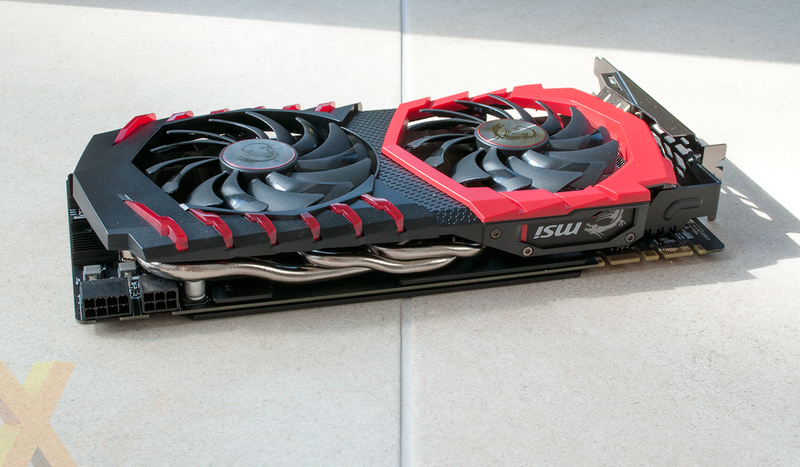 MSI's implementation is reasonably subtle, with a backlit logo on the top edge and illumination surrounding the second fan. Both can be controlled via the bundled software app, and all the lights can be turned off if you prefer. There are no prizes for guessing the core clock speed. In keeping with the original GTX 1080 Gaming X, the Plus variant ships with base and boost clocks of 1,683MHz and 1,823MHz, respectively. A healthy gain over Nvidia's reference specification, but the real gossip here is the 8GB GDDR5X frame buffer, which happens to hum along at an effective 11Gbps. That's a 10 per cent increase over the trendsetting Founders Edition, resulting in memory bandwidth climbing from 320GB/s to 352GB/s. 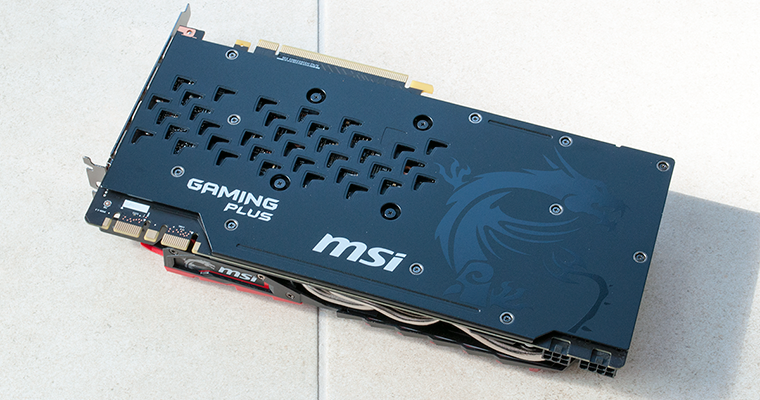 As with most MSI cards, there's an option to adjust operating frequencies via the bundled app. Switching to 'silent' mode sees base and boost clocks drop to 1,607MHz and 1,733MHz, respectively, while the 'oc' preset nudges the numbers to 1,708MHz and 1,847MHz. The latter mode also inches memory up to 11.1Gbps, and as we'll demonstrate later in the review, there's further headroom for those itching to tinker. Elsewhere, display outputs are in line with Nvidia's reference mandate, meaning a trio of DisplayPort 1.4, HDMI 2.0 and dual-link DVI. The question that remains is whether or not faster memory has had a hugely adverse effect on pricing. Apparently not, as MSI is quoting an MSRP of £560, making the Gaming X Plus a direct replacement for the regular Gaming X. Pricing is where we'd expect it to be, but this is no bargain and Nvidia has been clever with its GPU positioning in recent years. 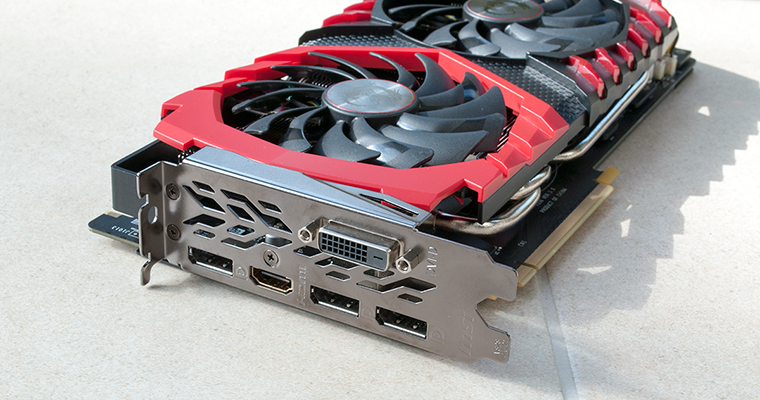 We've become so accustomed to paying over the odds for GeForce cards while the firm dominates the market that lofty sums have become commonplace. Remember, GTX 1080 has had a significant price cut yet we're still looking at figures in excess of £500 for what's effectively a fourth-tier GPU (Titan Xp, GTX 1080 Ti, Titan X, GTX 1080).